The complete EBF response document is available here. BRUSSELS, 14 June 2017 – Responding to the EU consultation on financial technology, also known as FinTech, the European Banking Federation is submitting a response which underlines its desire to see the creation of a customer-centric and inclusive ecosystem in which all actors, ranging from small start-ups to established multinational banks, are committed to serving clients with innovative financial services. 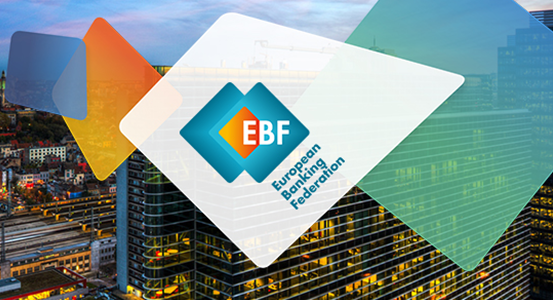 The EBF applauds the European Commission for initiating this consultation and for creating its FinTech taskforce. The taskforce serves not only a bridge between policy makers and the industry but also as an essential horizontal connection between policy makers in financial regulation and the digital agenda in the EU. First and foremost, the interests of end-users – clients and consumers – need to be the main guiding principle for policy makers. Financial technology has the potential of making financial services more attractive and more accessible for clients. Europe’s policy approach needs to encourage trust in FinTech services, particularly those that will be offered in the EU Digital Single Market. A forward-looking approach to policy needs to ensure that data protection and trust in financial services remain adequate. Customers expect banks to protect their personal data. Data protection is at the core of trust in financial institutions. The banking industry has been among the top investors in IT services for a long time, keeping systems up to date while maintaining high standards for cybersecurity. A properly balanced approach is required for creating a regulatory and supervisory FinTech environment in the EU in which both newcomers as well as established businesses can flourish. Such an approach can be described as ‘Same services. Same risks. Same rules. Same supervision.’ This would ensure high standards for consumer protection, market integrity and financial stability in a level playing field that supports fair competition and innovation. The EBF and European banks fully support the creation of an effective and future-proof ecosystem for FinTech in the EU’s Digital Single Market. The banking industry is committed to Fintech partnerships and in many cases already actively working with newcomers. The creation of a sound European FinTech ecosystem requires collaboration between established banking businesses, neo-digital challengers and other types of companies. Potential regulatory obstacles to such partnerships should be prevented and if necessary eliminated. To help Europe to remain competitive globally the EU needs to update prudential requirements for investments in software by banks. At present, the software of EU banks is treated as an intangible asset. This means banks have to deduct their software investment from their key capital ratio when calculating capital requirements. 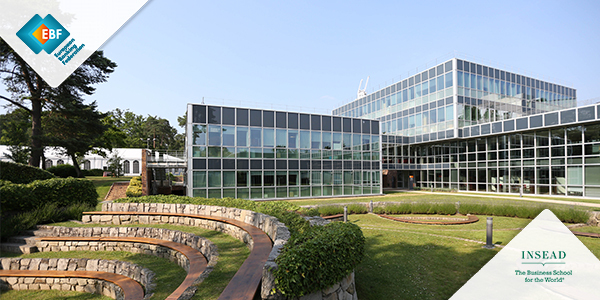 Software however is a strategic asset for European banks, enabling them to serve clients where and when needed, to develop cyber security measures, and to deliver digital services competitively. The current prudential treatment is a significant disincentive for investments in innovation. It also distorts the global playing field, particularly when compared to the U.S., where software investments can be treated as tangible assets that do not have to be deducted from a bank’s capital ratio. Finally, the EBF wishes to call again on the EU institutions to renew their efforts towards boosting financial literacy levels and digital skills. This, so that as many people as possible can benefit from the innovations in financial services. EBF, supporting CMU, committed to diversifying finance DO YOU CARE ABOUT EUROPEAN FINTECH REGULATION?